Harmony knows that a strong support system is key to thriving as a parent, particularly one who’s going for her degree. Her family has always been there for her – and when finances became tight, she found out that WIOA was there for her, too! It’s easy to see how much she loves her family as she says that “I’ve been blessed with an amazing daughter at a young age.” Harmony is always upbeat and never complains, even when taking care of a sick child. The combined cost of raising a family and pursuing her dream, however, were making it hard to focus on either one. When Harmony learned that WIOA could help her pay for college, she felt like a huge weight was lifted. She could finally focus on being a great mom and student again. 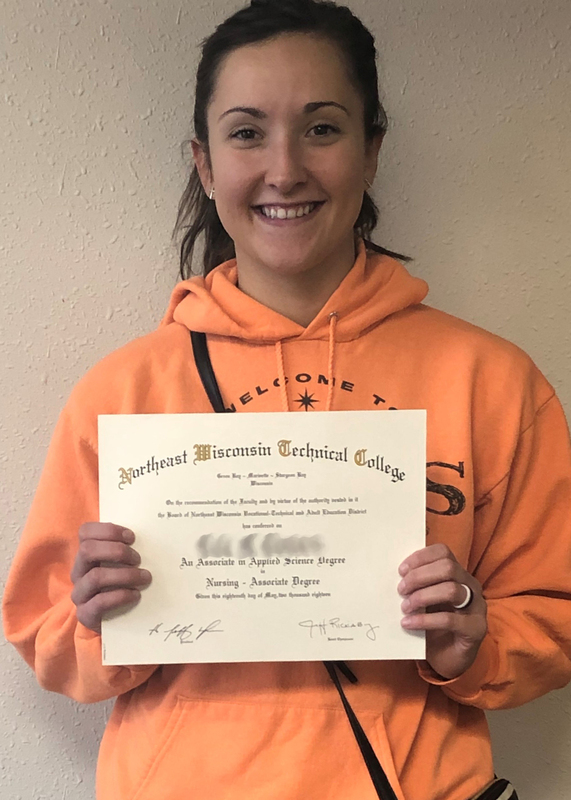 Harmony’s hard work paid off – she’s just earned her Associate’s Degree in Nursing from NWTC! Plus, her career got off to a running start with two job offers. Today she’s continuing to show her strong work ethic with a full-time job at a local nursing home while working part-time at a prominent hospital. You’re doing an amazing job, Harmony! Congratulations!